This is the first of our new Explore Events. They are an ideal opportunity to explore the relevance of Christianity to modern living and discuss some of the objections Christianity faces today. 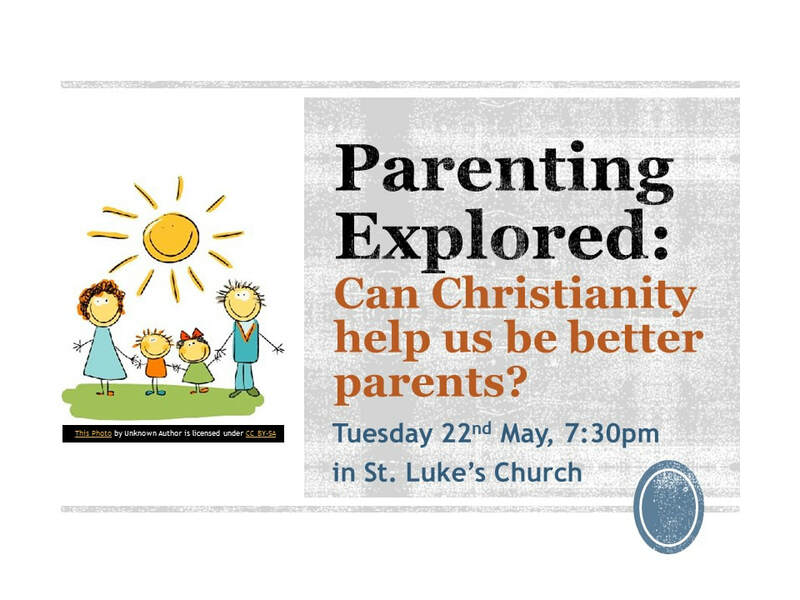 ​Parenting Explored will be focussing on what Christianity has to say about parenting. There will be opportunities for discussions and questions, as well as some Bible teaching and reflection. ​This is not just for parents. If you support a parent in any way or might be a parent one day, this is a great event for you too. Come yourself, but also think about inviting a friend! ​Tuesday 22nd May, 7:30pm, St. Luke's Church.